Licensing: Some states require home inspector licensing while others do not. In states that do require licensing ask for the inspectors’ FULL license number and write it down. This includes any letter type distinctions in front or in back of the number. This will help tell you if he is a fully licensed home inspector or an intern or apprentice. Training: Has the inspector had formal training from a recognized training school? State regulation in the home inspection profession is relatively recent (Many states still do not have licensing or regulation! ), so formal training has been mostly optional. Many “old timers” were carpenters, electricians or builders and learned to perform home inspections “on the job”. However, there is no single trade that qualifies someone to move into the field of home inspection without extensive training. Experience: This is can be a misleading qualification if the right questions are not asked. Years of experience are not as important as the total number of home inspections completed. In a 2005 national home inspection business operations study conducted by the American Society of Home Inspectors (ASHI), over 80 percent of respondents’ said they were full time home inspectors. Yet almost 40 percent said they perform less than 100 home inspections a year. This discrepancy may indicate that many home inspectors are working at other jobs or are semi-retired individuals. Be sure to ask how many inspections the inspector completes a year, at least 200 or over would be a good standard. It is also still important to ask overall years of experience and total number of home inspections. Association Membership: Home inspectors who have made the commitment of time, training, testing and money to belong to a reputable professional home inspection society are generally more committed to doing a high quality job for their clients. But be careful, not all home inspection organizations are equal. Some ask for little or no training, knowledge or experience to become a member, while others are very rigorous in their qualifications for membership. A membership logo means little; it’s what’s behind the symbol that counts. Inquire about and research this area fully, it will provide you with great insight into the home inspectors’ abilities and dedication to performing a top notch home inspection. The Inspection: How long does the home inspection take? As previously mentioned short inspection times mean poor quality. A thorough home inspection on an averaged sized home, (1500-2500 sq. ft.) should last 2-4 hours. Also ask if the inspector would like you to attend the home inspection. If they say no, this should alert you that something is wrong with this particular company. A good home inspector should insist that you attend the home inspection if at all possible. The Report: This is why you hire a home inspector, to provide written detailed information about the house. The first and most important question, when and how will you receive the report? On site, within 24 hours, a week, by email, regular mail or delivered by the inspector. What type of report does the inspector use, what is the approximate length of the report, are there pictures included? Be wary of short reports, 10 pages or less, and long report turn around times. Other Qualifications: Ask if the home inspector has additional certifications or licenses in services that you may need in addition to the home inspection. 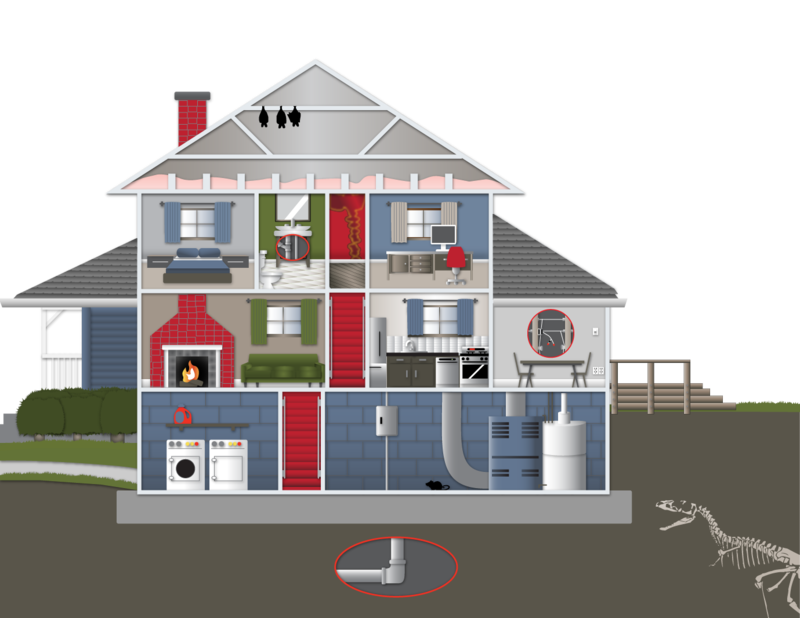 For instance radon testing is a very common ancillary service provided by many home inspection companies, but many inspectors are not certified or formally trained. Some states may even require certification or licensing in these services. If you are looking to have other services done be sure to ask about the inspectors’ qualifications to conduct the tests you require. Miscellaneous Items: Some things you should confirm when calling to hire a home inspector. Be positive that the inspector that will be doing your home inspection possesses the qualifications stated by the person on the phone. This is especially important when talking with multi-inspector firms. Also will the home inspector be readily available for follow up questions.